Looking for a job in Tehama County California? The following is a directory of Tehama County CA top employers with direct links to the jobs they offer. This directory includes local city job links as well as the larger job posting boards. Tehama County's primary cities are Corning, Red Bluff, and Tehama. Only sources that have job listing pages, business directories, and/or legitimate human resources contact listings are provided below. The City of Corning had postings for Police Officer, Police Dispatcher, Police Volunteer, Police Cadet, Commissioner, and Lifeguard. Check for current listings. The city of City of Tehama is comprised of part-time employees. When vacancies become available, information will be posted at the city hall, post office, head start building, and on the web site. The Red Bluff-Tehama County Chamber of Commerce maintains a small job board. Other links on their website provide useful information including community links and a member directory you can use to identify area businesses that may be hiring. 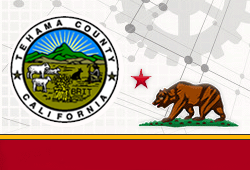 The Tehama County Economic Development website is a good resource to use for exploring economic climate, workforce programs, labor market information, cost of living, and programs aimed at college and career readiness. St. Elizabeth Community Hospital is a hospital that offers many services, including orthopedics, family birth center, and emergency. St. Elizabeth Community Hospital located in Red Bluff, CA. Here you may find career opportunities such as Clinical Lab Scientist, Family Nurse Practitioner (FNP), Medical Assistant, Pharmacist, Physical Therapist Home Health, Physician Assistant, Respiratory Therapist, Registered Nurse RN Medical/Surgical Acute, and RN Care Coordinator BSN. Rolling Hills Clinic RHC may periodically have open positions available for Dentist, Dental Director, Registered Dental Assistant, Health Clinic Controller, Community Health Representative, Clinic Physician, Front Office Receptionist, Front Office Receptionist-Operator, Janitorial Maintenance Technician, and Dental Schedule Coordinator. Los Molinos Medical is a part of Ampla Health and periodically hires for position such as Receptionist, CMA/LVN, Per Diem Medical Assistant MA, and Per Diem CMA. Visit their site for current listings. The Health Services Agency is a dynamic place to work that offers a wide variety of professional opportunities ranging from clerical staff to physicians. Please note that the jobs listed in the Public School Jobs section represent a sampling of jobs found on a particular review date. You can visit the links provided for the most current opportunities. Only Tehama County school districts with jobs pages that were found are listed below. Antelope Elementary School District was hiring for the positions of Speech-Language Pathologist, School Secretary, Hiring Pool for Certificated Positions, Para Educator, Education Specialist, and School Psychologist. Check for current listings. Corning Elementary School District was hiring. Job openings found had included School Bus Driver, English Language Development Teacher, SDC Teacher (K-6 school site), School Psychologist, and Hiring Pool for Certificated Positions. Evergreen Union School District had postings for Part-time Music Teacher, Night Custodian, P/T Maintenance, and Various Certificated TK-8 Teaching Positions. Red Bluff Union Elementary School District had opportunities posted for Teacher-Primary grade levels, Teacher-Intermediate grade levels, Education Specialist Teacher, Chief Business Official, Health Attendance Assistant, Special Ed Paraprofessional, Supervision Assistants, Cafe Clerk-Bidwell, and Substitute Custodian. Tehama County Department of Education was hiring. Job openings included Extended School Year Teacher, Communication Facilitator, Education Specialist, Bus Drivers, Project Liaison Substitute, Preschool Teacher Assistant, Substitute Custodian, Substitute Preschool Teacher, Substitute Special Needs Assistant, and Activities Instructor. Shasta College - Tehama Campus had job openings for positions such as (Full-time) Director of Human Resources, (Full-time) Agriculture Instructor, (Substitute/Temporary) Clerical Pool Tehama Campus.